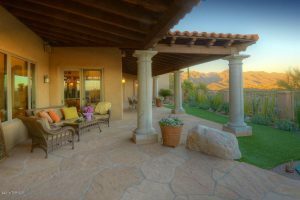 A Year of Sabino Mountain Homes Selling in the 300s. I can hardly believe it – there were 9 homes that sold in Sabino Mountain this year that sold in the price range $294,900 -390K and there is one under contract that should close soon with a List Price of $369,900. 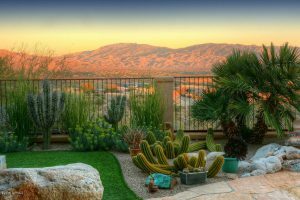 At this point many owners are deciding not to wait any longer and sell; they have been waiting for prices to go up as they have in other areas of the country but has not been the case in the Catalina Foothills. Interest rates have moved up so buyers are also moving to purchase before financing gets even more expensive. If you are thinking of selling your Sabino Mountain home, contact me at Donna@DonnaAnderson.com. 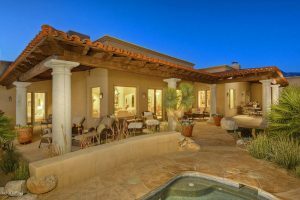 Also contact me if you are looking for many sought after features–exquisite setting surrounded by the high Santa Catalinas and Rincons and nestled in the Sonoran Desert, coupled with the many amenities—Sabino Mountain is gated; has a community pool, spa and clubhouse. Why spend the winter in the cold when the sunshine awaits you! 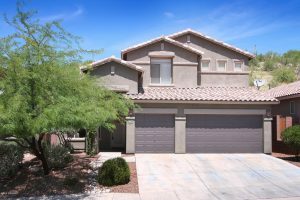 Lot Prices are going up in Sabino Mountain! Just last week Lot 105 at the end of North Quail Canyon Drive sold for 325K (Listed by Long Realty). In August Lot 271 on Black Rock Drive (last lot on the East Side of Black Rock Drive) sold for $323,750. (Listed by Realty Executives Tucson Elite). 4317 N Sunset Cliff Place that is listed by Long Realty at $369,900 has gone under contract. This almost 3K square foot two-story home with outdoor fireplace and three car garage and first floor master bedroom sparkles! It last sold 4 years ago for $362,870. I am a simple email away if you need an update on the Sabino Mountain housing market–Donna@DonnaAnderson.com . 4209 N Ocotillo Canyon Drive, a 2,236 square foot, one-story home with 2 car garage sold for 309K today. This home is a flip that was purchased by the Sellers at Foreclosure for $258,500 after which time they made some improvements: new carpeting, new fixtures, new applicances, new front door, etc. This home cost $246,900 when is was new 15 years ago. 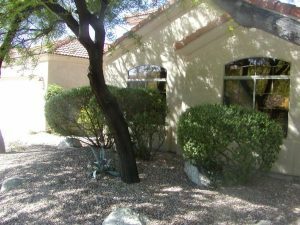 There have been a lot of homes that have sold in the 300 thousands this year in Sabino Mountain; look out my blog post at the end of the year reviewing all that has been sold in 2016. Remember if you are thinking of selling your home, email me at Donna@DonnaAnderson.com. I am your Sabino Mountain Specialist! Long Realty sold this bargain for only 835K that is located at 4476 N Black Rock Drive. It last sold for $905,400 twelve years ago. This over 3,800 square foot home has a large spa but no pool; the kitchen was recently renovated. The views are of the Santa Catalinas and the Rincons and the sparkling city lights. It was gently lived in by snowbirds. You are currently browsing the Sabino Mountain Blog blog archives for November, 2016.